Robots are way cool. Anyone three or older knows that. And agricultural robots were among the first envisioned civilian applications of GPS. When Brad Parkinson went to Stanford in 1984, one of the earliest demonstrations he and his bright new students conducted was fully automatic GPS control of farm tractors on a rough field to an accuracy of 2 inches. Now it’s a bazillion global industry. See “Agriculture robots market projected to reach US$5.7 billion by 2024” for a few figures on that. The market report underpinning that story contained a couple unquantified yet provocative assertions. Here’s one: Rural flight to the cities is a big force in this market’s growth. I find this a bit chilling, a bit 1984-ish, and goodness knows we’ve got enough of that going on already. Will our future trips through the countryside, the shrinking countryside, take us through landscapes populated by nothing by smoothly chuffing engines? Will the term “bucolic” lose all meaning? A second factor driving the agricultural robots market is “the increasingly accepted modes of corporate farming.” Now, I know that multitudes must be fed. Still, personally, I buy my food from small, local farmers as much as possible. It simply tastes better. That is indisputable. Arguments rage about whether it’s better for you; I believe that it is. I hope the small farmers that my family and neighbors depend on benefit from GPS even though they don’t have huge expensive pieces of equipment. I’ll have to ask them next time I go on a visit. Meanwhile if any GPS and/or robotics manufacturers supply products to the artisanal, shall we say, as opposed to the corporate side of farming, I’d like to hear from you. 2 Comments on "Agricultural robot market impacted by urbanization, less land"
It is an interesting thought, smaller farms using GPS systems to control equipment for things like robotic tractors. I see an immediate economic challenge in this area, depending on how small the small farm is. At some point the benefits no longer exceed the costs, which may not be clear to all observers as to exactly what that point is. The same challenge is found in most applications of automation, which is that the value of the benefits of automation must exceed the costs for the expense to be wise. This certainly applies to the whole “smart house” sales push. Folks just find the benefits of things like internet enabled door locks and toasters approaching the costs of having those things. This reality is ignored by all of those who are in a position to profit from the sales of the systems. Anyone reading this needs to break free from their twisted left wing California thinking. Farms everywhere have been undergoing major consolidation for years. automation is only a small part of what is driving that. Expenses in farmer across the board have skyrocketed and efficiency from scale is the only path forward. 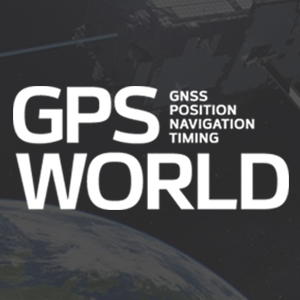 Quite dreaming…GPS will be a part of every farm in 10 years but they will all be big farms.